Where does venture capital fit as an asset class? What is the standard time it takes to get a return? How is it similar to & different from more common investments like public equities? What is a venture fund & what is a fund manager’s key functions? From the time that an investor first identifies a start-up to when they make an actual investment… walk us through the process of what happens in-between? How do VCs make money? Chris talked about how the only real similarity between Venture Investing and Public Stock investing is that you are investing in the equity of a business and your return is dominated by the performance of that business. They are very different asset classes, so remember that if you’re new to this and haven’t taken the time to really learn how it works, it is very easy to lose your entire investment. We talked about the Startup Investment Process for VC’s consisting of seven stages. I mentioned on episode one that this is a more involved process than Shark Tank… and if you’re making investments in startups, think about how the experts are doing it. Will you have a partner meeting as an individual? Probably not. But it’s not difficult to get together with a small group of friends, business executives and/or angels in your area… and help each other evaluate. Again, a huge part of this business is dodging bullets, so if someone you trust sees something that you don’t and it poses a significant risk… that can be very helpful. And, for many smaller VC funds, that management fee tends to be a little higher than 2%. But the key point here is that venture fund mangers only really do well financially if they do well for the fund and it’s investors. Different than PE or Hedge Funds where the management fees alone make many rich, regardless of performance. So the message is not to avoid other asset classes and funds… we all need to diversify… but in an investment world of misaligned incentives, it is refreshing to hear that venture is an asset class the professionals only do well when the investor does well. Whether that be geographic, an industry vertical, product vs. service-based businesses, software vs. hardware... whatever the case, having some background or domain expertise in a field, market or application should help tremendously when evaluating early-stage companies in that area. Whether you're 20 or 80 years old... we all have knowledge and experience in certain areas that should be leveraged. That said, your focus doesn't doesn't have to be super narrow... to the level where you have one startup in 20 that you can even consider... but I'd also suggest it not be too broad... such as "we invest in tech." If that's the case you could make the argument that any starutp is in your area of expertise. Chris: Thank you so much for having me, Nick, it’s my pleasure to be here. N: You’ve had an interesting journey prior to your current endeavor at Wasabi Ventures; can you walk us through how you got into this start-up investing world? C: Absolutely. So, I happened to graduate from college at the time when the Internet was first taking off—this was 20 years ago now; I actually have my 20-year college reunion coming up. So I went straight into the Internet business; I was at a company called D. E. Shaw & Company, a major hedge fund; it’s still around today, and we were doing a number of Internet start-up activities, including Juno Online Services, which went public, and FarSight Financial Services, which got sold off to Merrill Lynch along the way. And so as a result, I had gotten into the start-up world, but I didn’t know that much about venture capital, and I really learned about venture capital when I started my first company when I was in business school back in 1999. That’s when I first started doing my venture capital pitches, getting to know folks, and so on and so forth. So I really got to know venture capital first from the perspective of an entrepreneur, somebody who’d raised money many times and done tons and tons of pitches. Then around 2005, a friend asked me to look at his company and give him some advice on his start-up and I liked it, and I said, “Hey, are you taking any money?” And he said, “As a matter of fact, I am.” And so it was at that point that I made the transition and started doing investing in start-ups as well, and so that’s been nearly a decade worth of start-up investments—I’ve probably done about 40 to 50 of those start-up investments, and that’s gotten me a lot of exposure to venture capital from the investor’s side. I’m an angel investor for the most part, i.e., I’m investing in smaller companies at seed-stage deals as opposed to Series A investments of five to 10 million dollars, but obviously one of the major things I do to help my companies is to help them eventually connect with the right venture capitalists—find the right fund with the right fit so they can grow from there. So that’s how I got into the venture business; I continue to spend a lot of time working with people in the venture community, and I do think it’s really important what you’re doing here, in terms of educating people. When I was a young entrepreneur, I basically didn’t know anything and I had to pick up what I could, and back then there wasn’t nearly as much information. So I’m glad that you’re contributing to the corpus of knowledge. N: Yeah, there are a lot of folks that I’ve interacted with that are hungry for knowledge, and the reality is, I don’t hold it all, so I’m glad to have people like you to help the audience walk through this process. I’ve got to ask, Chris, did you make a placement in that first company that approached you? C: So I made an investment in that first company and it has not gone out of business, but it has not been successful. Despite that fact, I’ve continued going—of course, some of the subsequent ones that I made have turned out to be more successful than that one, but that first company, I’ll always have a soft spot for. N: Yeah, I hear you. You know, I get advice from a lot of folks who say, “Don’t make an investment in the first company you see,” but it always seems like the way that you get into start-up investing is you just find something that’s special. C: Absolutely, and there’s no class that you take to become an investor; venture firms work on an apprenticeship basis, and angel investors are largely self-taught, so you just kind of have to go ahead and do it. N: So as promised to the listeners, we’re going to start at the beginning. So, Chris, most simply, what is venture capital? 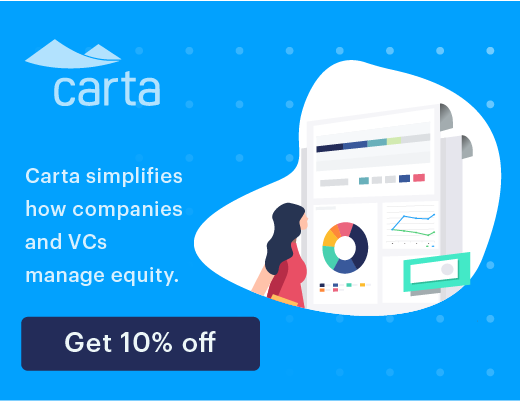 C: Venture capital is an asset class where venture capital firms or “funds,” as we typically call them, make long-term equity investments in start-up companies. It’s important to note those three key factors: long-term, equity investments, and start-up companies. Venture capital is investing for the long term. Venture capitalists invest money in a company and expect to get a return in maybe five to 10 years; it’s a long process, and it takes investors who are very patient, as opposed to typical retail investors, who are putting money in and out of stocks, depending on who they are, on an annual basis, or even weekly, monthly, daily basis—who knows. Same for hedge funds. The second is, they are equity investments. So as a venture capitalist, you’re investing in a company and betting on its success. You’re not betting that the company will be able to repay you the money with interest, which is what a debt investor does. You’re betting on, “This is something that is going to fundamentally be a big outcome, and I’m going to make money by participating in the equity upside.” Finally, the investments are being made in start-up companies. So certainly, venture capital could theoretically apply—you could have long-term equity investments in things—that are not start-ups; things that are just traditional brick-and-mortar businesses—a dry-cleaner or something like that. But that’s typically the province of private equity. The thing that distinguishes venture capital from private equity is the emphasis on start-up companies, and the reason why venture capitalists focus on start-up companies is simple: those are the ones which have the greatest virility of returns, the greatest opportunity to deliver the kind of outsized returns that really make a fund. N: And with your experience, the start-ups that you’ve invested in, can you give us a sense of the longest time to return and the shortest time to return across the spectrum of investments? C: Absolutely. So the shortest time to return I have ever had is one particular company; it was a [inaudible] company; I invested in it and six months later it was sold. So it does actually sometimes happen that you make an investment and you intend to be in an investment for years and within a year you’re actually getting a profit, which is nice. But the longest investment—as I said, that first investment that I made in 2005—is still going, so as a result, it’s nine years, and God only knows when I’ll get a return. So the range is from months to never. N: Right. I wish they could all be six months, but that’s not the reality. C: It even happens for big deals; I know that Greylock, for example, invested in Instagram just a couple of months before the Facebook acquisition and to some extent, they would like for that not to be the case. They’d like to get a bigger win because they’d probably make double their money in six months, which, as investors, you and I love that. But for a big fund, they want to make 50 or 100 times their money. N: It seems like there’s this major second market opportunity for a lot of these private equity and hedge fund players that’s happening in later stages; that’s really a topic for another time. So you talked about venture capital and asset class. Where does in fit in in the spectrum of asset classes? You’ve got public equities; you’ve got bonds and you’ve got real estate and private equity—where does it fit in? C: So venture capital is typically what’s been called an alternate investment strategy, i.e. it is hopefully less correlated with the public market and core holdings. It tends to be a small part of the portfolio. One of the things that caused the increase in venture capital is that in the 1980s and 1990s certain large endowments, like the Yale endowment, for example, began investing more heavily in venture capital and getting strong returns. That actually led to a re-jiggering of people’s portfolios toward these alternate investments. But venture capital continues to be a small part of people’s overall portfolio of assets. Where it fits in is, it tends to be a portion that is designed to potentially deliver outsized returns that are typically uncorrelated. Now, the correlation does exist on some level because for the most part, the majority of venture returns historically have come from taking companies public. So if you’re taking companies public you are ultimately dependent on the public market. It is still the case that it is less correlated than just investing straight into the stock market. So people invest in venture capital as a diversification play, as an absolute return play, and as a small portion of an overall portfolio. N: You mentioned one of the primary exits is going public and IPOing. Can you give us a sense of what the major methods for people getting their money out are? C: Sure. Venture is actually very simple in comparison to things like private equity. In the venture world, you either have going public, and you have M&A activity, murders and acquisitions—selling the company to someone else. And there are no special dividends or other sorts of spinouts or things like that that you might see in the private equity world. In the venture world, you either sell the company, or you sell the company to the public. And it was historically more selling the company to the public. More recently, perhaps because of [inaudible] in the wake of the dot-com bubble, there’s been a lot more M&A activity. It’s also the case that with the presence of these mega-acquirers like Apple and Google that didn’t necessarily exist, at least in their current forms, until the 1990s, it makes sense that there’s more M&A activity now. If you sell to Google or Apple, maybe you don’t get quite as much, but you’re certainly selling to a very stable situation. You’re not worried about keeping your stock price up, and it’s generally a place where your people want to work. N: Right. So there are a lot of folks I know that have significant investments in the public markets. So, public equities—you mentioned Google and Apple—are very liquid and easy to invest in. Can you talk about the similarities of venture investing—start-up investing—to public equity investing? C: Got it. Well, you know, it’s not so much the similarities as the differences. The only similarity is that you’re investing in the equity of a business. Ultimately the return you get is dominated by the performance of that business. You can have short-term fluctuations in stock price, you can have short-term fluctuations in the animal spirits of the venture market that determine valuations—but ultimately, businesses have to be successful in order to be valuable. But there are so many differences. Like you said, venture investments are completely illiquid, and there are some opportunities in secondary markets, but those typically occur much later on. Venture investments are something where you have to wait a long time, where the securities are not priced for the most part—they’re very rarely marked to market, and even when they are, there’s no real meaning to it, and so you have to think about it in a completely different way. If you’re investing in venture capital you’re basically saying, “I’m allocating this amount of my portfolio to it, and I won’t know the results for 10 years,” versus public equities where you can see the results on a daily basis. N: Got it. So let’s transition over into the venture funds. So we talked about venture capital as an asset class, an industry—what is a venture fund? C: Sure, so this is an interesting point that a lot of novices don’t necessarily understand: a venture capital firm actually consists of many legal entities. So there are two primary things you need to be concerned about. The first is the management company. So the management company is a legal entity to which the partners of the venture capital firm belong, and the management company pays their salaries and does all these different things, and it is the ownership of the venture firm. There are no limited partners of the management company; the management company is owned by the partners of the venture firm itself. So you can think of the management company, essentially as, if the venture firm were a startup, the management company is that start-up entity. Now, the management company itself is the general partner of other funds. Those funds are individual, limited-liability corporation entities that make a pool of money from investors and then invest that money into start-ups. So when you hear someone say, “Oh, Greylock just invested in Company X,” it’s not that Greylock management company invested in Company X, it’s that Greylock management company, in its role as the manager of Greylock 17, invested money out of Greylock 17 into that company. So a typical successful venture firm has numerous entities. Each individual fund is its own separate entity, has its own separate set of limited partners and investors, and makes its investments into the individual start-ups. The reason this is important is you have to understand the nature of the fund in order to understand, from an entrepreneur’s standpoint, what that fund is likely to do. So the fact that a venture firm has a lot of money doesn’t necessarily help you if they invest it in you from a particular fund and that fund is out of money, because there are a lot of rules in place that say, “Hey, we’re not going to invest in previous companies out of new funds,” because that’s kind of a conflict of interest. So as a result, let’s say you get invested in by Fund 17. If Fund 17 is out of money, they’re hard-pressed to put more money in, and so knowing the fund management company and knowing the individual funds themselves and the nature of the relationships—how long they’ve run, how much money they’ve raised, what we call dry powder in the industry—is really critical. N: So if I’m a new investor, and let’s use Greylock as an example, I’ve heard Greylock has had some fantastic performances, I know some of their investors there, I believe in their general philosophy as a management company, let’s say I approach Greylock, and let’s say they have two different funds open for investment, Fund A and Fund B. What should I think about, and what questions should I ask, before making an investment in one of those funds? C: Well, if you’re a limited partner, you can’t actually get into the funds after they’ve been set up. You basically have to come in at the very beginning. So once the fund is in progress—let’s say, here’s the fund that has Facebook. Of course everyone’s going to want to buy into it. Well, guess what—none of the existing investors are going to want to share any of that. So you have to have committed up front; that’s why venture funds raise these separate entities. When they raise their next entity, they basically say, “Look at how our previous funds performed; do you want in or not?” And only once everyone’s committed do they close the fund and take investors, and they typically don’t take investors after the fact. If you’re an entrepreneur and you have a choice between a couple of funds that are existing, what you want to do is say, “Well, which one has the most dry powder?” Now, if there are funds that are in the process of being raised—let’s say a venture firm is in the process of raising two funds at the same time, typically the two funds will have very different philosophies. So one may be a traditional venture fund focused on early-stage start-ups, and the other may be a gross equity fund that focuses on putting larger amounts of money into start-ups that are further along. This is one of the ways in which they may actually support their earlier investments, and it’s okay—it’s not a conflict of interest in that case—because it’s specifically a gross equity fund. They’re designed for that situation, and the limited partners have signed off on it. So you have to decide which philosophy you want to follow. Are you interested in something that’s an early-stage venture fund? Are you interested in something that’s gross equity? Are you interested in something that’s really tightly focused, like a Bitcoin fund or something like that? It’s essentially like looking at a mutual fund, except you have no performance to look at—you have to just look at the performance. N: Got it. So we’ve touched on a few of these points, but what would be a fund’s key functions? C: Certainly. So the key functions of the management company are to raise the funds. And in the management company, the partners will go out to meet with various limited partners—LPs— and pension funds and the like, and say, “Here’s what we’re doing, and here’s why you should write us a check,” and they pick up those commitments. The individual fund itself has things that it needs to do. It includes a set of partners, so Fund 17 may have different partners than Fund 18—the partners can change from fund to fund. The individual partners of that fund are going to find start-ups to invest in, monitor what’s adding value to them, and ultimately help the company generate an exit. So once you get down to the individual fund, it really comes down to the general partners to select investments, make investments, and make those investments successful. N: Great. So between the time when an investor first identifies a start-up to when they actually make an investment, can you walk us through what happens in between? N: Right, it sounds pretty involved, and it’s a good lesson as to why you should trust top-tier venture capitalists with your investments. But that’s only where the fun begins—you make the placement, and then comes mentoring and governance and monitoring. So, moving along, how do investors make money? You talked about LPs, i.e. limited partners, so this could be a retail investor like you or me—just a high net-worth individual—or it could be an institutional investor, like a pension fund or an endowment of sorts. How do these LPs, these investors, make money? C: Well, what the investors are doing when they buy into the fund is they’re buying a share of all the things the fund is doing and what the fund owns. And the fund is going out and taking pieces of their capital and using it to invest in various start-ups, and hopefully some of those start-ups are successful. When a start-up goes public, or is sold, the fund entity gets the shares or gets the money. And it’s at that point that the venture firm has to make a decision on when to distribute the proceeds. So this is actually an interesting point. There are cases where the venture firm says, “I’m not going to distribute it now; I’m actually going to distribute it all at the end of the year.” And another venture firm may say, “Wow, this was a huge sale, and we’ve got all this cash on hand; let’s distribute it to the limited partners.” Limited partners tend to prefer the latter to the former, i.e. “Hey, if you just took a company public and it’s worth three billion dollars, I want to get those shares. I want to make a decision as to whether I sell or keep; I don’t want you making that decision. Your decision was, ‘Which start-up should I invest in,’ not, ‘When should I sell a publicly traded stock?’” But other firms may see it differently; they may say, “You know what, I’m going to wait until the lock-up expires to distribute it, because you can’t sell it anyway,” or, “For convenience’s sake we’re going to do everything at the end of the year.” But investors make their money by having their investments in the firm be successful and having the firm make the appropriate distributions. When all the monies have been distributed and all the investments have been closed, then the venture fund is finally finished as an entity; it’s not left to linger forever. The venture firm itself may live on for decades, but a venture fund typically has a lifetime about ten years because during that time—and I think this is your next question—the management company is typically paying the venture firm itself, and eventually there’s no money left, and the company’s not going to make any money. It’s better for everyone to just close it up and tie a bow on it. N: Can you talk more about how the general partners—the venture firm—and how the practitioners at that firm make money? C: Absolutely. So typically, venture firms operate on the same general principle as private equity and hedge funds. Somehow Wall Street has convinced people to take the same formula—actually, what’s interesting with venture capitalists is, they’re probably underpaid compared to private equity investors or hedge fund investors. The basic structure is what we call “2 and 20,” so a basic 2% per year managing fee and a 20% carried interest, or “carry.” So the way it works is this: let’s say you have a $100 million fund; that fund is going to last 10 years, so what it means is that—and again, this can vary: sometimes it’s straight lines, sometimes the distribution is actually different—it usually ends up being, for the life of the fund, each year, 2% is going to be paid as a managing fee. So that ends up being $2 million per year, or $20 million over the lifetime of the fund. And as I said, sometimes the distribution is changed such that more of the money is paid out at the beginning than at the end; sometimes it’s just done in a straight line for simplicity’s sake; it really just depends on the deal that the venture capitalists decide to offer to their LPs. Now, that money can be significant. Like I said, for a $100 million fun that’s $20 million over the lifetime of the fund; for a $1 billion fund that’s $200 billion over the lifetime of the fund. And that’s why there’s always pressure on venture funds to raise larger and larger amounts of money, because the economics say the management fees are going to go up with the money in the fund. And that’s why equity guys and hedge fund guys with their multi-billion dollar funds often have an easier time of it than venture capitalists; a venture capitalist might be running a $100 million fun and spending just as much time on it as a hedge fun guy running a $1 billion fund, and yet the hedge fund guy is making $20 million a year off of management fees and the venture capitalist is making $2 million a year. Big difference. But where the venture capitalists may come around and actually become billionaires—and a number of venture capitalists are billionaires—is the carried interest. The carried interest basically says, “This is the proportion of the profit of the fund that I get as an investor. So the thing about venture investment is, let’s say you invest in Google or Facebook. Well, all of a sudden, your $100 million fund returns $2 billion or $3 billion. Now, to make the math easy, let’s just say it returned $2.1 billion on $100 million. Now you have $2 billion in profits. Well, 20% of those profits—that’s $400 million. Now we’re talking some real money. And so the reason investors like that is that typically the venture capitalists can only really get rich if they succeed, and they only really get tons of money if they’ve made the investors tons of money. There are some complicating factors—like a hurdle rate, and the hurdle rate says, “Hey, there is a timed amount of money; I’m not just paying you to put that money into T-bills or something like that. If you return 10% or 20% I’m not giving you 10% outside, because I could’ve gotten that myself just by putting the money into treasuries.” So there’s a hurdle rate that may be based on the treasury rate or another percentage or something like that that says the venture capitalist needs to make a certain amount of money before the carried interest starts being applied. N: And a lot of people describe the management fee portion as a loan. Why would they describe it that way? C: That’s an interesting question. You know, I don’t actually know the answer. Describing it as a loan seems strange to me. I guess it’s a loan in the sense that it’s money that allows the find to continue to pay its staff and do all the things it needs to do while waiting. Because the venture capitalist has to wait for the exits, much like the investors do, that would be something to live on in the meantime. But it’s not structured as a loan, so I don’t know why people would consider it one. I guess it’s sort of an advance over the future profits. N: Right. An example that another fallow had brought up to me was that the management fee was subtracted from the eventual carried interest, so while it does pay the salaries and the administrative fees on an ongoing basis, apparently once that fund delivers and pays the carry and the return out to the investors, the sum of the management fee over the course of the fund is subtracted from that value. N: So I wanted to circle back to something you had said: you had mentioned early on that you had an investment that’s going on nine years, and then recently you were talking about winding down a fund. So what happens if there are some stragglers—some investments that are still lingering and they haven’t delivered a return yet, but they’re not necessarily bad investments that need to be wound down—what happens in that case? C: Excellent question. So there are a few things that can happen. One is that the venture firm will say, “Look, we’re wining down the fund. We’re just going to distribute the private stock to all of you LPs, and you deal with it from here.” So that’s one option. Another is the LPs will say, “No, that’s really not convenient; can you keep the fund alive? We’ll pay a little extra money in order for that to happen.” And the third is to say, “Okay, let’s go ahead and sell this off to a secondary buyer just to close out the fund.” So ultimately, it’s a negotiation between the fund itself and the limited partners as to what they want to do. So you have the second case, where the limited partners will pay a little more to keep the fund alive—it obviously costs money to keep a fund going. So that’s something where they would have to agree to it. N: So we’ve talked a lot about venture funds and venture capitalists as a part of this greater start-up industry, or venture investing industry. In another episode I’m going to go in depth on angel investing—what is it, how does it work, you know—but can you give us a little color on how angel investing fits in with this? How is it similar or different than what we’ve already covered? C: So angel investors tend to be a little bit different. The classic definition of an angel investor is someone who’s actually investing their own money, and so as a result the economics are a little bit different. There’s no management fee; there’s no carry—it’s just you investing your own money, and so as a result it’s up to the angel investor to decide whether it’s worth the time and capital invested. Now typically, angel investors go where VCs fear to tread. So angel investors are usually coming in early, taking chances on people; they’re providing the first money in. Typically a company is not going to go straight to the venture capitalists; it’s going to go to an angel investor. So the angel investors are a feeder system of companies to the venture capitalists. So it’s an interesting question, whether angel investing is actually an economic activity. I would argue that it isn’t, that usually, people are doing it for love—because they like being in the game—because typically, angels don’t get a good return on their money, and they could make more by, say, putting it into a venture fund and working on that. Angel investors are usually very accomplished people who could make a lot of money doing other things. But it’s a wonderful thing to do—that’s why I do it. I tell people it’s like belonging to the world’s most expensive country club, but instead of hanging out with boring people who talk about nothing but golf, you get to hang out with people who talk about changing the world. N: That’s why we love it. So in this world we’ve got venture capitalists, the practitioners themselves, LPs that invest in a venture fund, and then we’ve got angels that are making investments in start-ups on their own, and it sounds like you do all three. C: Yeah, so I’ve been all across the board; I’ve sat at all five tables, and I think it’s useful to have the perspective of having done everything. There’s this big debate going on—are operators, or people who have been in the start-up world, better investors than people who have never been CEOs? And I think you can certainly be a great investor without having been a CEO, but it helps to know how it feels to sit in that big chair, just like it helps to know how it feels to be an angel looking for a Series A investor to come in, and just like it helps to know what the perspective of a VC is when they’re trying to chase down the signatures of 17 different angels in order to get a deal closed. So I like to think that I have some empathy for all the people in the equation. N: So as far as resources go, do you have anything that you would recommend as afar as venture investing and start-up investing for people who may have been doing this awhile but want better context on the industry itself? Or people that are brand-new to venture investing? C: Certainly. So there are a couple of places that I normally point people to. The two that I would most recommend—there’s a site called Venture Hacks, which was created originally by Naval Ravikant and partners, and Naval is probably best-known now as the founder of AngelList, which has really revolutionized the world of angel investing—I’m sure you’ll get into that in your angel episode—but it’s a great site. It’s sort of helped demystify the world of investing for entrepreneurs. The other thing that I would recommend is Brad Feld, who’s a venture capitalist based in Colorado at the Foundry Fund, he’s an outstanding venture capitalist and a good writer as well, which is why I like him—he has a book that he did with his partner, Jason Mendelson, which is called Venture Deals: Be Smarter Than Your Lawyer and Venture Capitalist that talks you through all the details. So that’s a great resource for people who just want to pick up a book—it costs $15 or $20, and it’s certainly cheaper than getting an MBA. N: Yeah, that’s the second book on the industry that I read—fantastic book. Go check out Brad Feld; he’s at www.feld.com. He runs a blog called Feld Thoughts, and you can certainly pick up his book there. So tell us more of what you’re currently up to at Wasabi. C: Certainly. So we’re doing something that we feel is really exciting—we’re trying to solve many of the problems in early-stage investing. Many of the problems we see are in not being able to get to know the team well enough or not being able to feel like there’s a good problem being tackled. So we actually have a start-up academy, which we call the WV academy—it’s a free service, and people can sign up over the Web—and it teaches entrepreneurs how we think about the world in terms of how do you find good opportunities and how do you make good business and how do you make investments. And again, it’s a free class; we don’t charge people anything. What we do do is pick out the people who are the top graduates of this class and say, “Hey, maybe you’d like to work on a start-up with us, and we’ll provide you with some support and guidance to help steer you towards a good idea and help you take that idea to the market and start generating some traction.” One thing I always tell entrepreneurs is that traction is crucial to success—it’s the number one thing. Unless you’re already super successful, in which case, why would you even be listening to what I have to say—you’d just be out doing it—traction is the best thing to prove to venture capitalists that you know what you’re doing. Every idea is crazy until it succeeds. AirBNB was crazy until it succeeded. Uber was crazy until it succeeded. The key is success. So we work with entrepreneurs to help identify what we think will be a very attractive market, help them get out into the market, and help provide guidance to grow them along the way. And the reason we’re willing to that is, because of the academy, we get a chance to get to know them, and we feel comfortable that this is the kind of person we want to work with. N: Interesting. I like the approach, with the advisory and the incubation. Have you guys been doing that since the start? C: Not from the start; it’s something we’ve picked up more recently. There’s a number of companies we’ve been able to do this with successfully. At least so far, we’ve been able to have a good track record in being able to raise outside investments for the company. So we did this for a company called ApplyKit in the college application management space, and another company called SquareOne Mail, which is in the email and sales productivity space. So we’re continuing t do this now; we’re teaching classes. I actually had a class I was teaching yesterday on how to be an authority, which is a very important thing as an entrepreneur. N: So, of course, you guys are located in the Bay area, the hotbed of innovation. So tell me about how the environment is currently, and how it evolved. C: Certainly. So obviously Silicon Valley and the Bay area are the hotbed of the tech world, and there are a few things that have changed. The proliferation of angel investments, and the super-angels, and investors by angel lists have made it a lot easier to raise small amounts of money. I would guess that there are more start-ups than ever, especially since there are so many people talking and educating folks, and every night of the week you can go out and see some legendary investor or entrepreneur talking. There’s just a tremendous amount of excitement. I think in terms of Silicon Valley versus the rest of the world, there’s an upside and a downside. The upside is, it’s easier to go out and get a company started. The downside is the fact that it’s easier for people to go ahead and get a company started, so there’s tons of competition. I go to a coffee shop in Palo Alto, for example, that a lot of venture capitalists and entrepreneurs hang out in, and everyone has 17 different point of sale services that they’re trying out, because everyone has said, “Hey, can you try this out? We’ll give you some shares.” And so it ends up being—how do you differentiate your company from the other 72 companies that the investor saw the previous week that are doing the same thing? One of the things we do is, I’m based in the Bay area, but one of my partners splits his time between New England and the DC-Baltimore area. And one of the reasons we do that is, besides the fact that [inaudible] grew up in the East Coast, oftentimes we find our entrepreneurs in the East Coast or other areas that aren’t as well-served, and we help polish them and sort of bring them up, and then we move them to the Bay area, where they can raise traction in an area where capital is more plentiful. N: Interesting. It’s always amazing to me how many me-too’s can pop up and maybe have an inferior product to something that already exists—but maybe a better sales and marketing plan or better channel access, and get more traction that way. Things move quickly. C: I can’t remember which famous Hollywood figure said this, but I believe that he said, “Nobody knows anything.” And it’s an exaggeration—there are certainly people that have been able to deliver outstanding returns over time—but I think it’s good for all of us to have a healthy humility about our ability to predict what will work. As I’m fond of telling people, I just grab whatever’s hot at the top. So for a significant amount of time that was Snapchat, and now I tell people, “Hey, if 18 months ago I went to you and I said, ‘I’ve got a great product for you. It is a product that allows me to send pictures that self-destruct, and the whole idea behind it is that most people are going to start off using it to send pictures of their genitalia, and I want you to give me $20 million,’ I’d be laughed out of the room.” Then I’d come back and it would have 20 million downloads—“Hey, guess what. This–” [BEEPING NOISE] Darn smartphone. N: Yeah, not sure what happened there. I think it dropped. C: Yeah. So just to finish off my little story about Snapchat, people don’t want to invest when it’s just an idea, but do want to invest once they see it’s successful. They want to hop onto a bandwagon. N: Right, right. So if we could cover any topic on venture investing in the start-up world, what topic do you think we should address, and who would you like to hear speak about it? C: What I think I would like to see—and you could probably get some founders to talk about this—is just how unimportant fundraising is in comparison to just building the business. And we’re certainly guilty of this as well, because we’re investors and fundraising is important to us, but when I see an entrepreneur focusing on fundraising, optimizing a round, I think, “That’s totally the wrong emphasis.” The emphasis should be on making a great product and building up a business around that product. So getting an entrepreneur to talk about just how much focus should be on the business, and how fundraising isn’t the most important thing, I think, would be useful. N: Yeah, some of the best opportunities I’m looking at now, I have to chase down. The founders are doing well and they’re making money and they’re busy, and they don’t have a tremendous amount of time to raise money or think about cap tables and whatnot. N: Yeah. So, for someone who’s new to start-up investing, what advice would you give? C: Probably the best advice I can give to someone is just go ahead and do it. Do it with money that you can afford to lose, because you’re probably going to lose a bunch of it—I know I have—but it’s hard. You can listen to podcasts like this one, and I think it helps, but it’s like listening to a podcast on how to play blackjack and then putting $1000 on a hand. Totally different feel. You have to actually do it in order ot understand how it’s going to work. So you can start small, but put your own money into it. That’s one of the things I recommend—it’s one of the things that’s going to tell you, “Can I deal with the uncertainty? Can I deal with the fact that I’m going to lose money? N: A mentor of mine told me to get off the sidelines and get into the game, so a year ago I decided to leave my job and do this full-time. And he was right: you really have to immerse yourself and start making investments to learn what you’re doing right and what you’re doing wrong. C: Yeah, that’s great advice. N: Well, great. So, Chris, what’s the best way for listeners to connect with you? C: Well, what you should probably do is go ahead and follow me on Twitter. 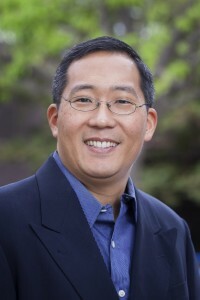 My Twitter handle is just @chrisyeh. They can certainly find me in any variety of other places. The good news is that, being me, I have, over the past decade or two, built up my Google presence to the point where if you Google “Chris Yeh,” you’ll find me. So there are plenty of places to pick out my presence and my content. 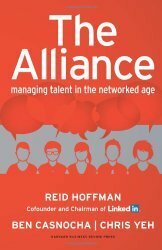 One other note is that I do have a book coming out July 8th; it’s a book that I co-authored with Reid Hoffman, the founder of LinkedIn and a partner at Greylock, along with my friend Ben Casnocha, who’s his chief of staff, so if you go to our book website, which is theallianceframework.com, you can learn about that book, which is all about the future of work, and maybe preorder a couple of copies. N: Great! I didn’t realize that. That’s good news; I can’t wait to read the book. Well, certainly in the limited time I’ve known you, Chris, you’ve been insightful about the industry; you’ve been as generous with your time as anyone—huge thanks for sharing your thoughts with the listeners and for giving us your time today. Give him a follow. Chris is on Twitter, he’s @chrisyeh; check out his Adventures in Capitalism blog over at chrisyeh.blogspot.com, and of course Wasabi Ventures, which is www.wasabiventures.com, and look out for that new book. Chris, thanks again for being with us, and hope to have you back soon. C: Truly a pleasure, Nick; looking forward to the next time.